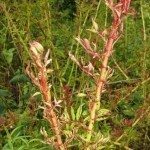 How to apply rose mix for rose plants briefly? If you mean a rose mix fertilizer be it granular or foliar application, follow the label on the product for roses or ornamentals. If there is not label on the product either throw it away or if you are sure what it is, then contact the company to get application information. Rose mix soils amendments are usually just working into the garden soils at no more than a 50-50 ratio.